Dakar is pulling all of its resources together for a meetup inside of AT&T Regional Headquarters, El Segundo, Ca. Friday February 22nd ; featuring invited guest: Marcelino Ford-Livene, Shane Norman, Jay Tucker Stay tuned more. Dakar Foundation for the Performing Arts will feature a Black History Month Experience such as the one below. Join us Friday, February 22nd, at AT&T Entertainment Group’s El Segundo, Ca. to support our Information and Communications Technology and Digital Media/Entertainment multimedia regional initiative for diverse community college students in the greater Los Angeles area. “The ultimate measure of a man is not where he stands in moments of comfort and convenience, but where he stands at times of challenge and controversy.” — Martin Luther King Jr. 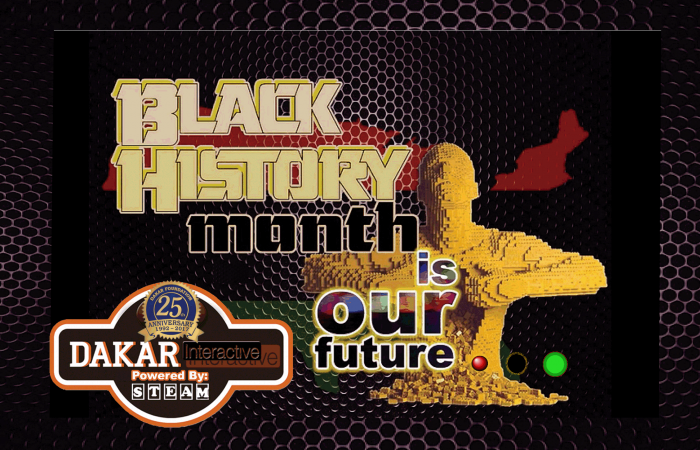 This Black History Month Experience will serve as an announcement of the partnership between AT&T and Dakar Foundation to provide job skills training to support the development and design of a pipeline to introduce, prepare and place students in careers in a high-growth sector that is the signature industry of Los Angeles County. Dakar wants to be a part of the resurgence of more activism in curating Black History, and this February marks our year-long effort to make Black History more relevant to all domestically and abroad. Everyone is racing to do that, and Dakar is working on emphasizing the history of civil rights, race relations and the history of slavery in a student-driven campaign to socialize and challenge them to know more about their past. One of our projects we’ll be sharing with the help of a select team of students from Los Angeles Community Colleges is, Victory By Valor, featuring the little known facts about iconic hall of fame athletes such as Arthur Ashe, Willie Mays, Joe Louis, Sugar Ray Robinson, and Jackie Robinson.